Teaching comes effortlessly for Kimberly Jones. 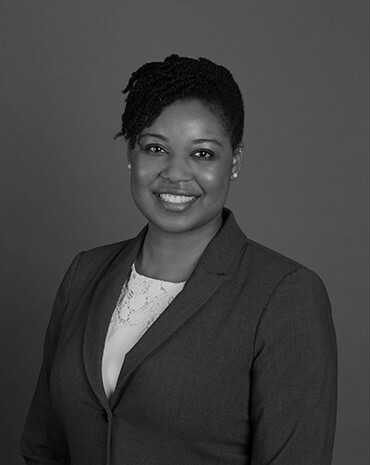 In her law career, and in a previous role with Teach For America, she has proven her commitment to helping others acquire the knowledge needed to attain their goals. For her clients, this means learning about their business operations and educating them on preventing, reducing and managing risk. Additionally, her clients value the key attributes for success she demonstrates in her practice each day: integrity, perseverance, flexibility and respect. At Huie, Kimberly focuses her law practice in the areas of insurance defense, fraud/bad faith, employment litigation and product liability. Prior to joining the firm in April 2019, she worked as a litigation associate at a regional firm in Tuscaloosa for almost two years. During that time, she worked with clients in a variety of civil matters, including labor and employment law, landlord/tenant disputes and general business law, gaining invaluable practical experience. Kimberly’s professional work experiences and law school contributions, including trial team, moot court team and numerous leadership roles, serve as the foundation for her client-first approach. In her free time, Kimberly enjoys cooking, spending time with family, playing board games and taking her terrier mix Julio to the park. Kimberly earned her BA in Political Science and Spanish from Auburn University and her JD from The University of Alabama School of Law. We’ve moved! Please note that our new address is: 3291 US Highway 280, Suite 200, Birmingham, AL 35243.